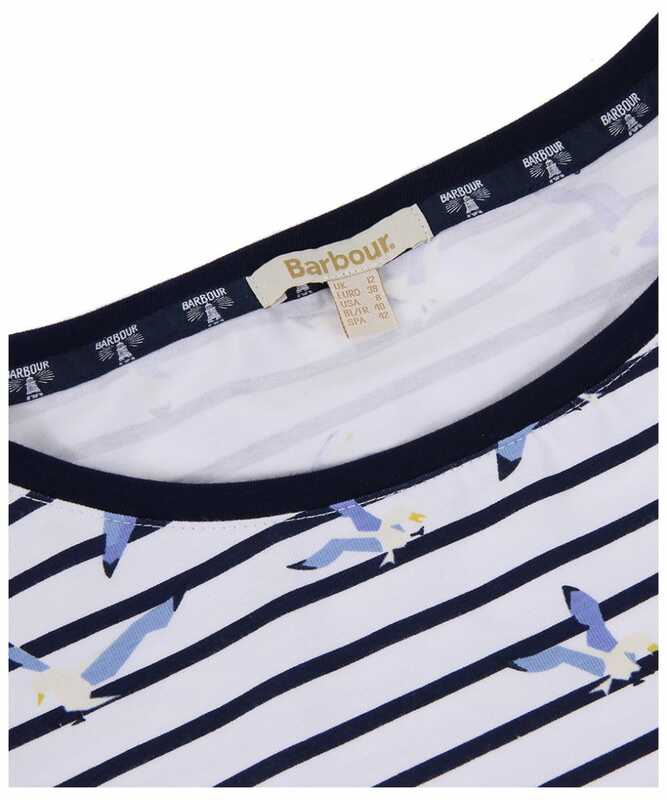 The Women's Barbour Faeroe Top is perfect for layering under your favourite Barbour jacket to complete your on-trend look! 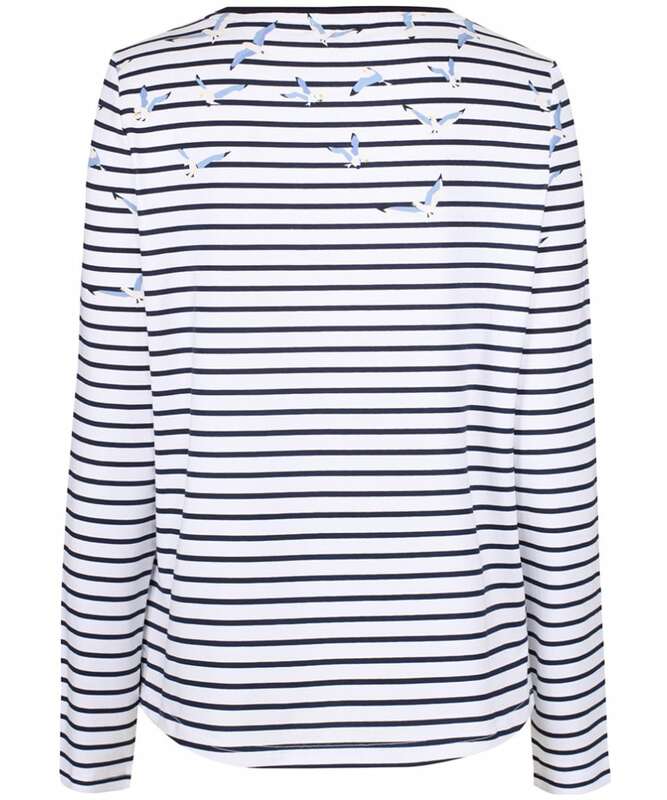 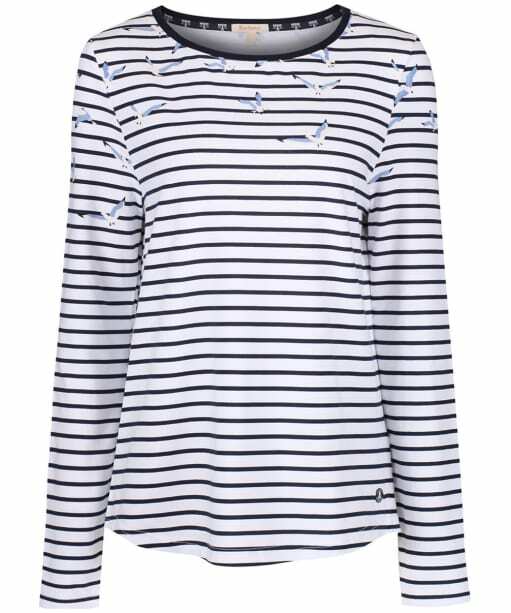 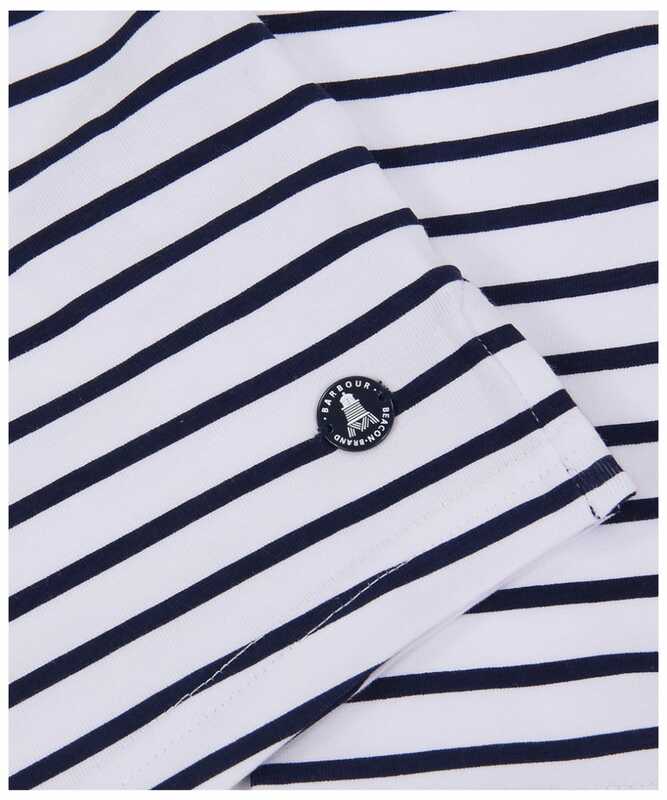 This striped design top features a seagull placement print reflecting Barbours coastal heritage, with the contrast colour trimming to the neckline adding an on-trend feel that you are sure to love. 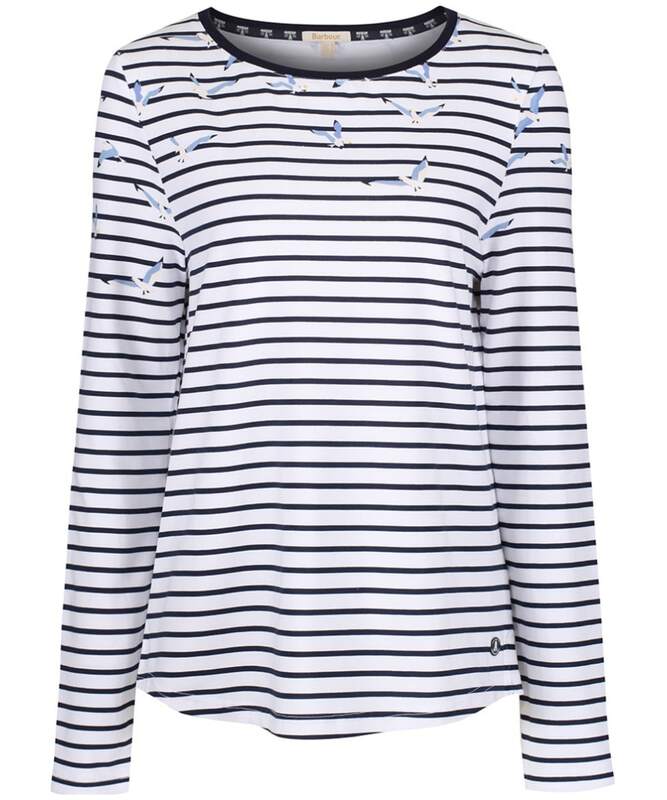 This long sleeved top is finished with signature Barbour branding for that added touch of style.